Glenn Erickson is a Consignee Compliance & Communications Specialist with CMMB’s Medical Donations Program. On a recent trip to Haiti, Glenn saw how the Medical Donation’s Program’s work with partners helps bring medicine and medical supplies to women and children who never had access before. Foundation for Hope and Health in Haiti (FHHH) was started by Haitian American doctors based around New York in response to the 2010 earthquake. They work primarily in community strengthening, education, and healthcare. 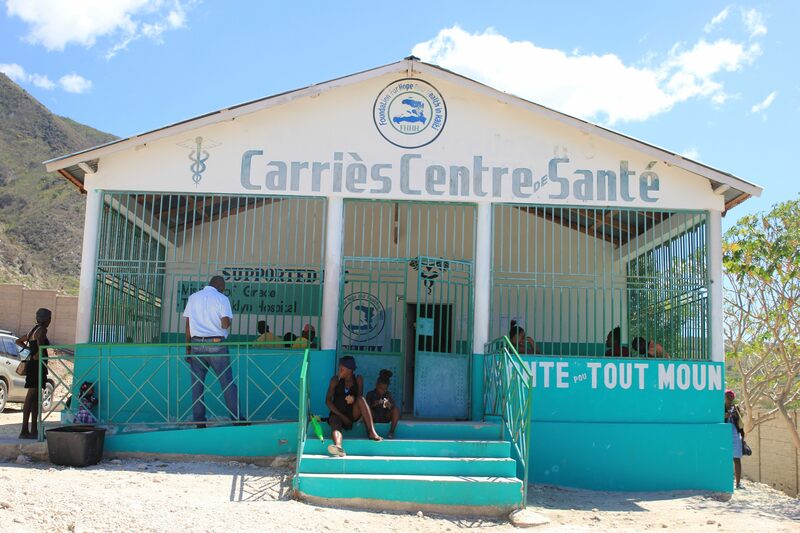 Since their start nine years ago the group has built two Haitian clinics, one in Carries and one in Il a Vaches. CMMB’s Medical Donations Program (MDP) started providing donations in 2011 and have since shipped just shy of $1 million worth of medicine and medical supplies to support their programming. In February of 2018, I had the chance to visit the Foundation’s clinic in Carries to understand their work and how they use the products donated by CMMB. The patients I met at the clinic told me that without FHHH’s clinic in Carries, they would have no regular access to medical care. The only other health facility in the area is private, and the services are far too expensive for the local population to afford. The next nearest facility offering free consultations and medicine is a day and a half walk away. When you’re sick, walking for more than a day is often not a possibility. The Foundation’s clinic in Carries supports the community through maternal programming as well. The staff provides pregnant mothers with regular checkups and care that most would not have access to otherwise. Every Wednesday is dedicated to prenatal checkups, when the staff typically sees between 30 and 50 pregnant mothers. They provide all support to these mothers, including a sonogram for each trimester, and prescription of folic acid, iron, and prenatal vitamins completely free of charge. The clinic recently added a mobile prenatal clinic which provides the full suite of diagnostic services. While they currently perform deliveries, the staff has yet to achieve C-section capabilities. While visiting the clinic, I had the opportunity to speak with one family who credited a lot of their well-being to the work of FHHH. Magalie came in with her two children, Menka who was six, and Daison who was four months old. She had been pregnant with her first daughter, Menka before the clinic opened. For this pregnancy, she did not receive regular prenatal checkups, and was forced to travel two days to a remote facility to give birth. When she was pregnant with Daison, however she attended the clinic regularly and was able to give birth there as well, with the doctor who had been consulting her throughout the pregnancy. Magalie and her children live with a family member, five people total in a two-room house. She does not have her own source of income, and said that without the FHHH clinic, she would not be able to get care for her children on a regular basis. 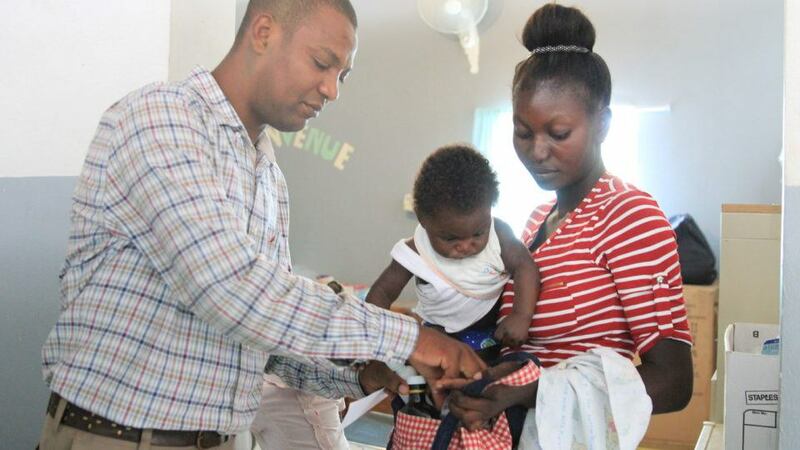 That day, she had come to the clinic because Menka had a stomach ache and she wanted Daison to have his first checkup following his successful delivery. Magalie told me that the services provided by FHHH makes them feel human. She is happy that the medicine is dispensed for free because she would have no other option. 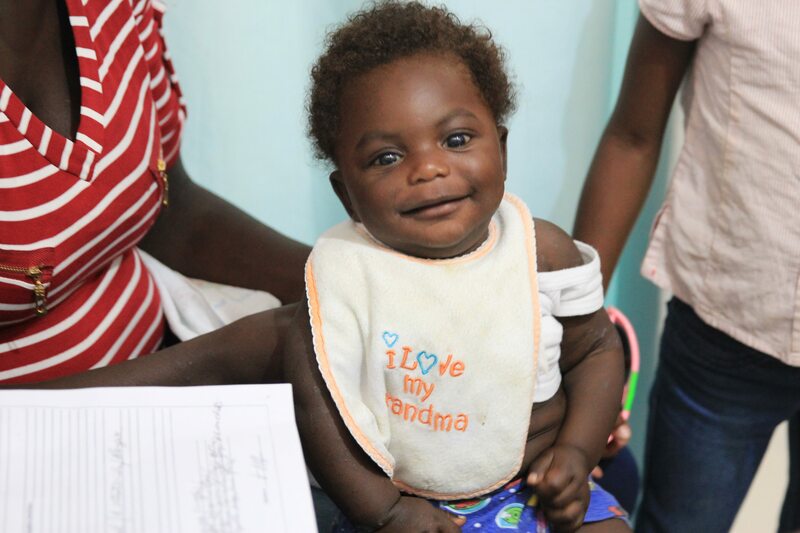 The Foundation for Hope and Health in Haiti is working to strengthen and empower their communities in Haiti. It is groups like these that allow CMMB’s Medical Donations Program to have a truly global impact.